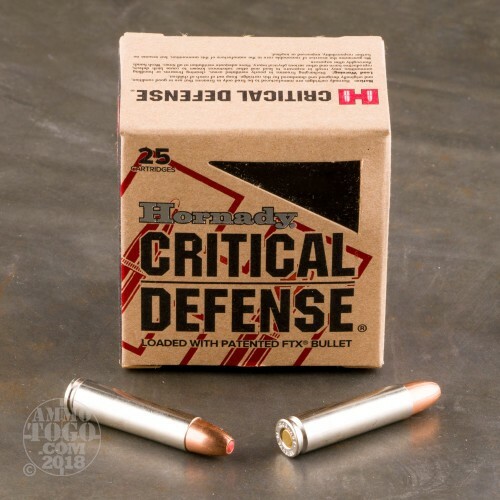 Turn your M1 or other .30 Carbine rifle or revolver into an effective home protection weapon with this Critical Defense ammunition from Hornady. 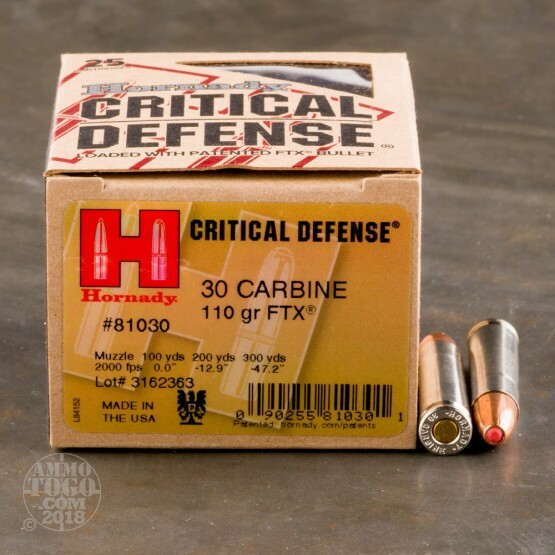 These cartridges fire a 110 grain jacketed hollow point FTX bullet. 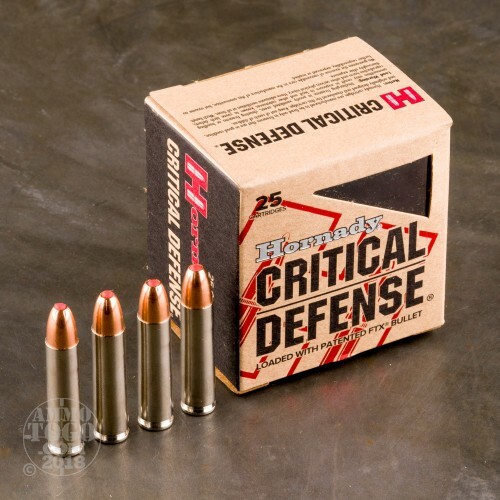 The FTX is a Hornady design distinguished by the soft polymer insert in the expansion cavity; this insert serves to deflect debris and ensure more reliable mushrooming. 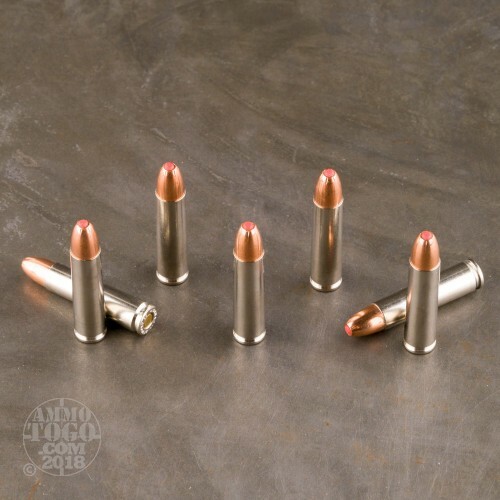 External ballistics are identical to those of most hardball .30 Carbine loads, making it easy to use one set of sight adjustments for your gun. Like other Hornady products, this ammo is made in the USA using non-corrosive Boxer primers and brass cases.